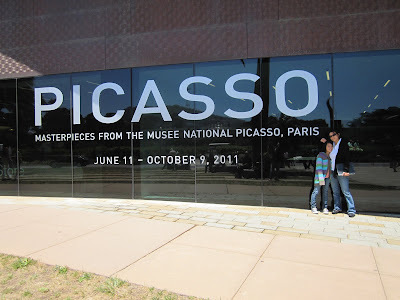 I went to see the Picasso exhibition at the De Young Museum in San Francisco. Loved the show but no photographs were allowed. 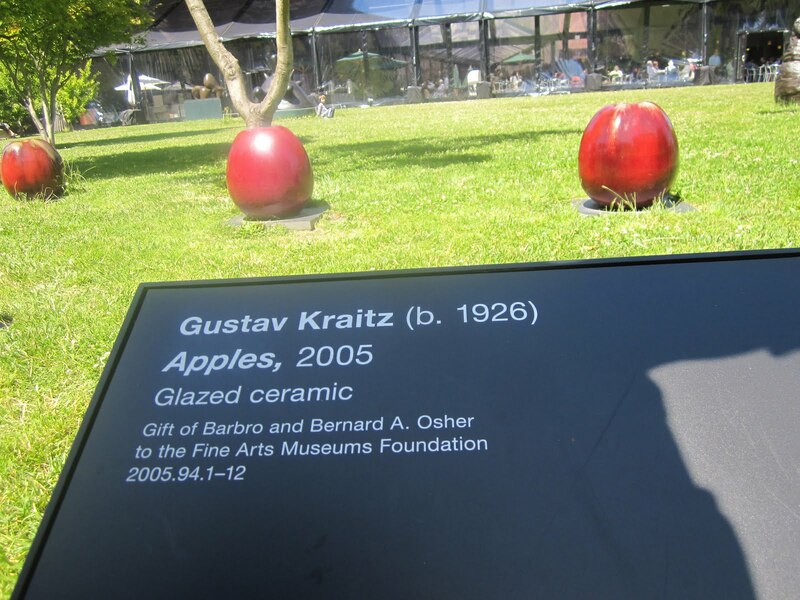 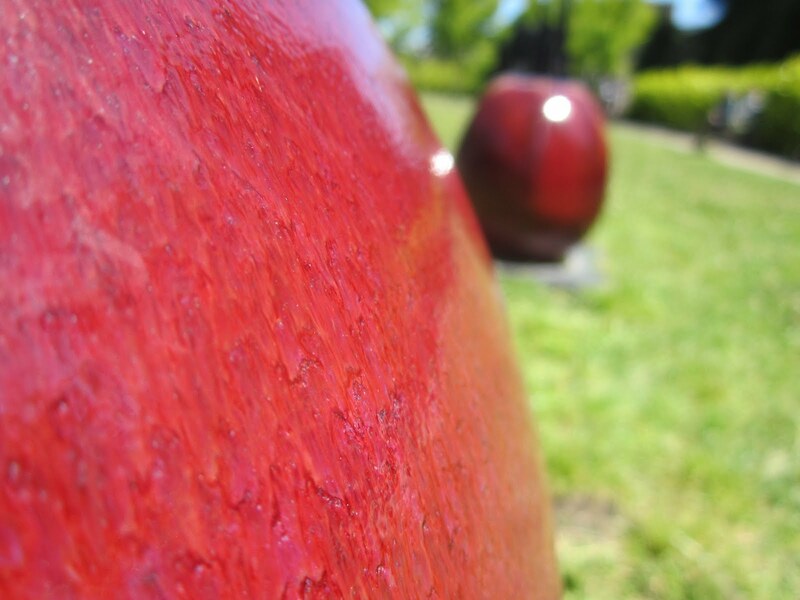 However, the museum garden has a nice collection of outdoor sculptures. 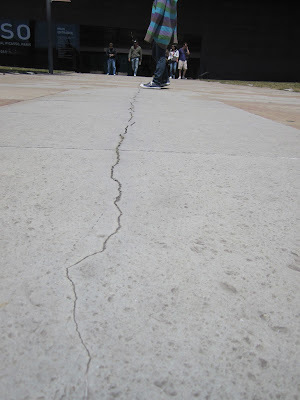 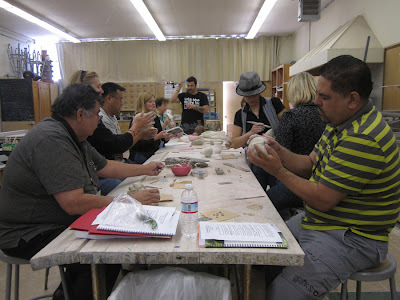 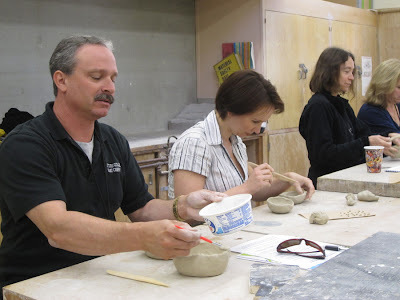 The first annual SITE workshop that was held at Ventura College beginning summer 2011 was a big success. 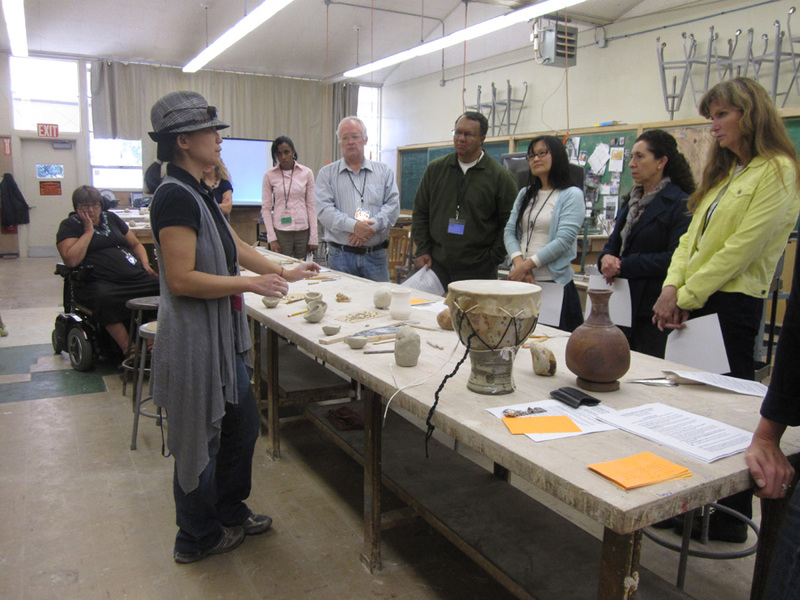 The workshop provided various educational lectures. 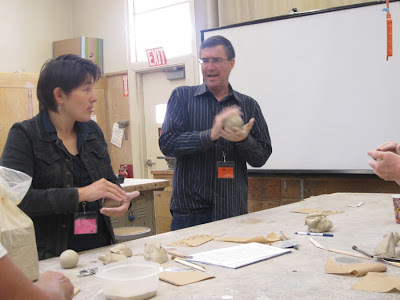 One of the workshops was the Experiential Learning Workshop. 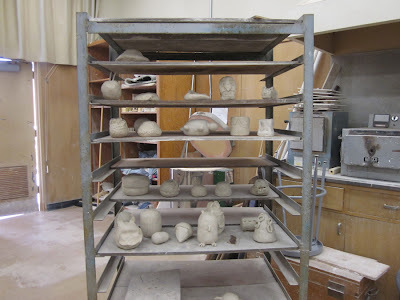 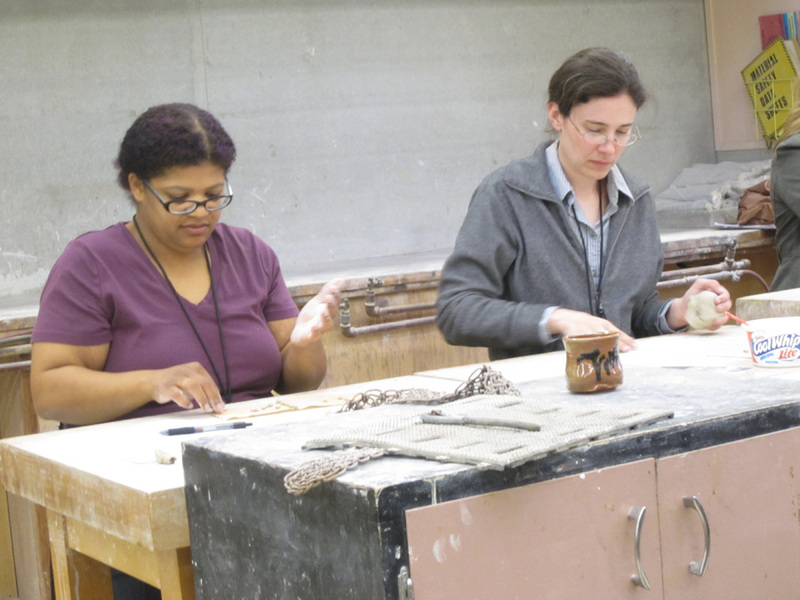 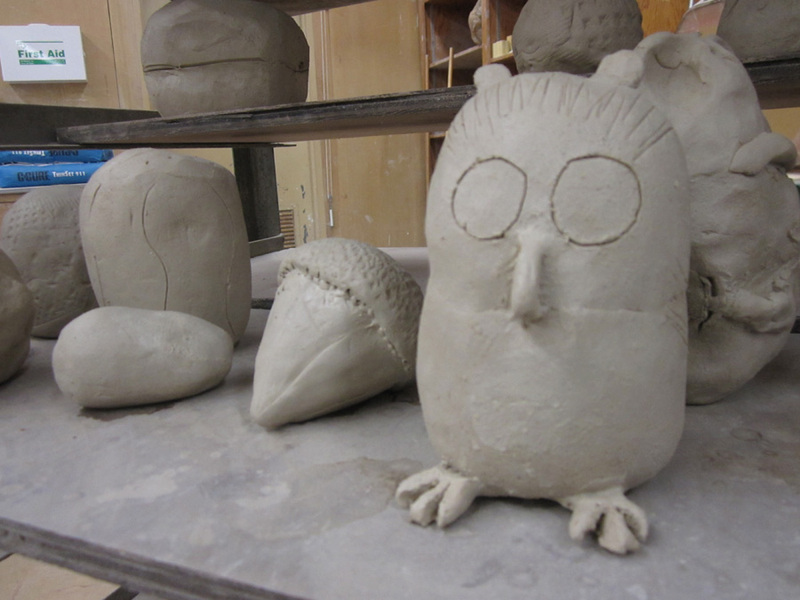 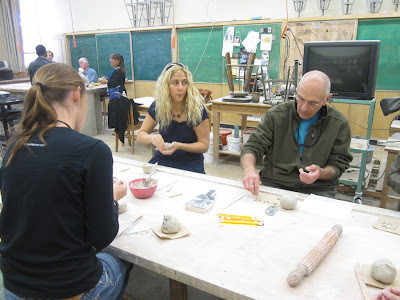 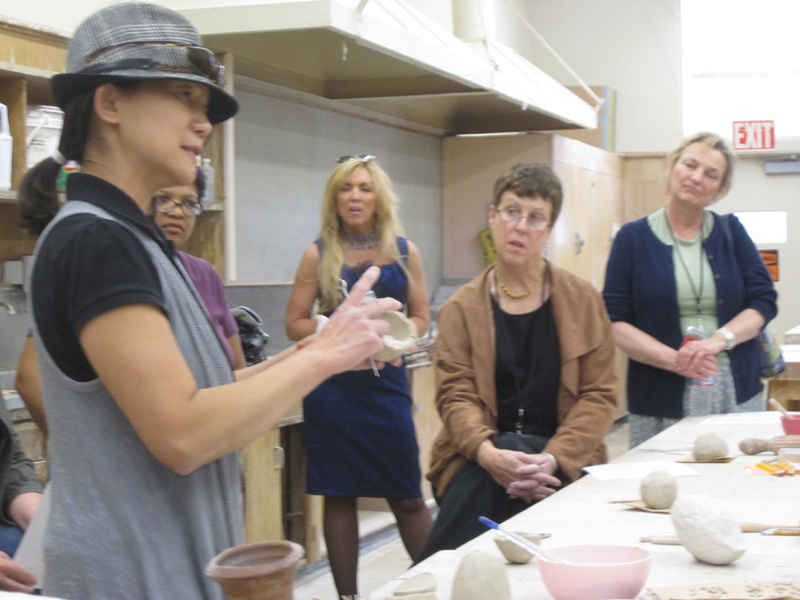 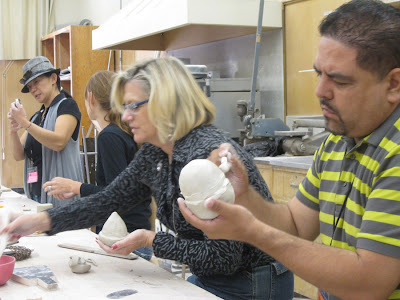 The lecture/studio class was hosted by Gigi Fiumerodo (Anthropology), Jaclyn Walker (English), and Jenchi Wu (Ceramics). 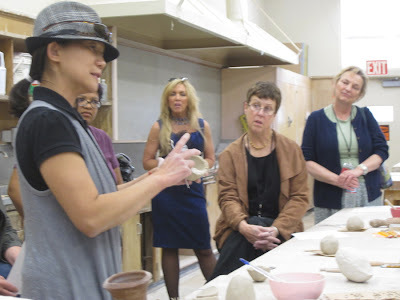 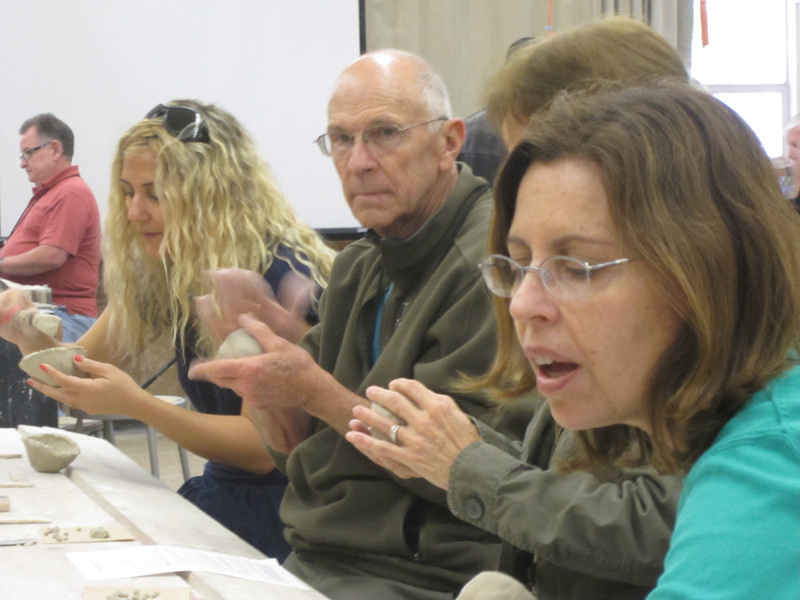 This one and a half hour workshop included a brief history of cave paintings as well as early development of music with Gigi, creative writing one's thought process while developing and making the rattle with Jacyln and finally the hands-on experience of making a clay rattle with Jenchi. It was a wonderful and exciting interdisciplinary workshop. 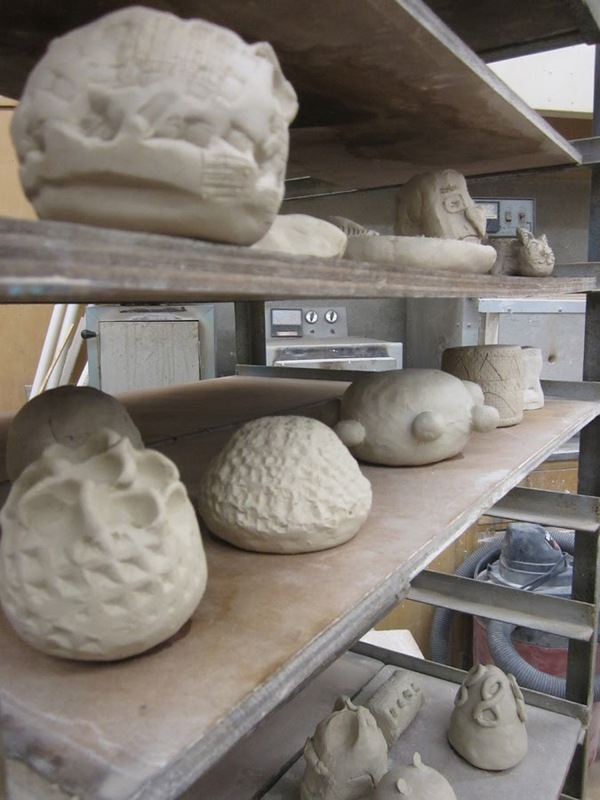 I was able to fire all the rattles and present them to each participant at the end of the workshop. 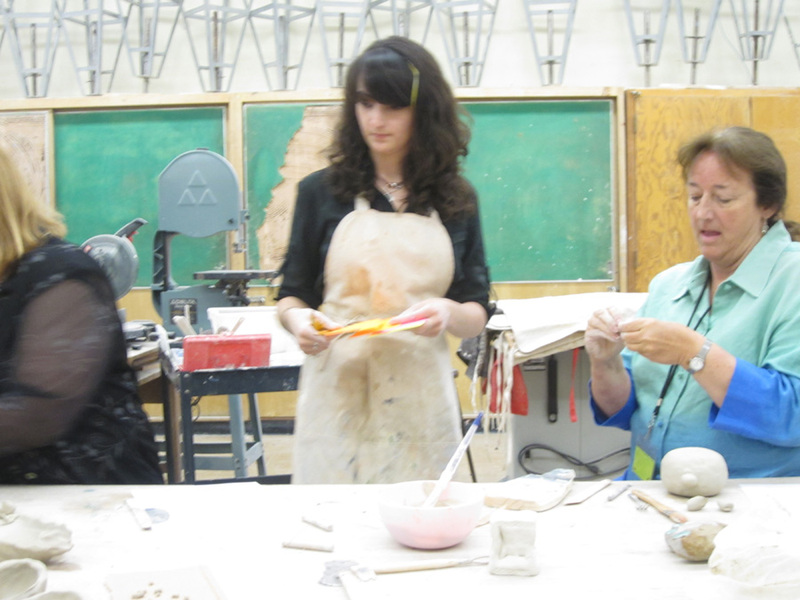 Thank you to my colleagues who support the SITE program - Gwen, Judy, and Sharon. 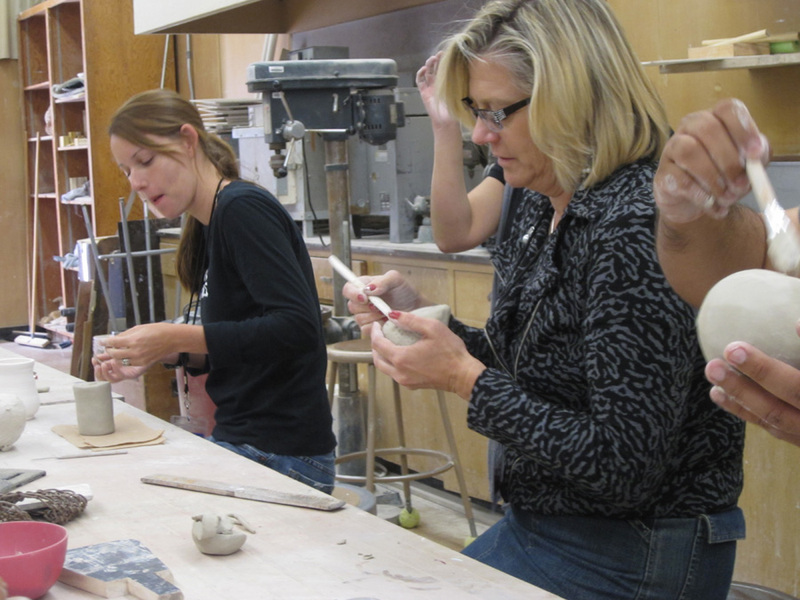 Thanks as well as Gigi and Jacyln for taking a leap of faith for the clay rattle collaboration. And finally thanks to all the student volunteers and many other hardworking staff who made this happen. I hope to see you all soon.